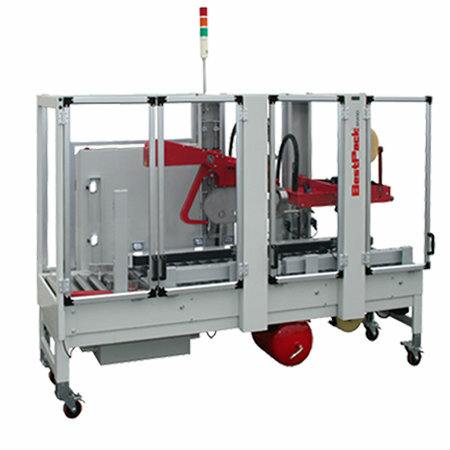 The BestPack CSEG SERIES Random Carton Sealer's advanced engineering provides the high speed random carton sealing for both full & half egg boxes up to 20 cartons per minute. All models are equipped with our exclusive Pressure Sensitive tape heads with patented Tab Adjustment Tape Head and maintenance free oil-less air cylinders. Tape Roll Lengths: 1000 yd. & 1500 yd. Capable of Interchanging 2”, 3”, 4” or 6” Tape Heads. High Speed Motors for Belt Speed of 135 ft per min.